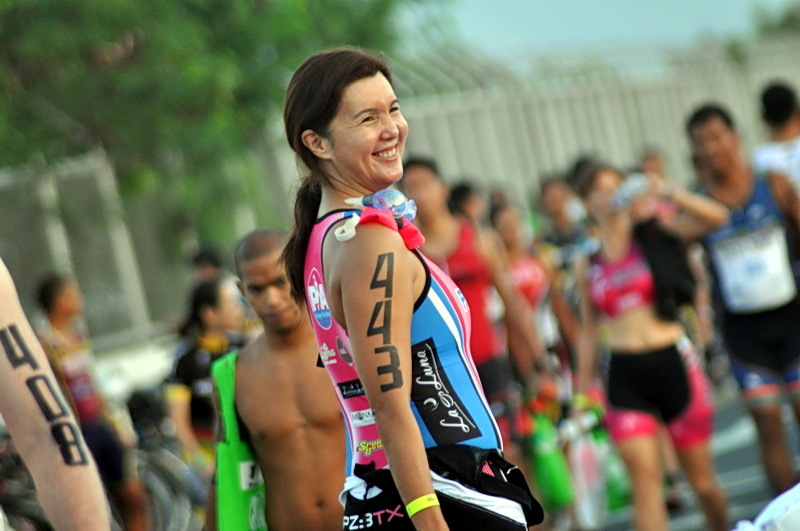 Even though I’ve been doing triathlons of various distances for quite a few years, race day is still always exciting. The inaugural 5150 triathlon in the Philippines took place in Subic last June 24. 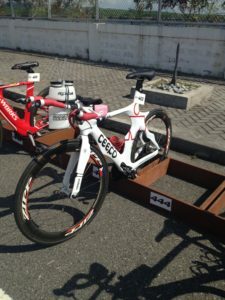 It’s an olympic distance triathlon (1.5km swim, 40km bike, 10km run) which is not a new distance but it is new in the sense that it is the first time the Ironman series is staging this distance. 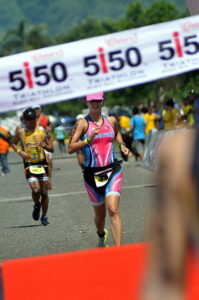 For the last three years, the Ironman 70.3 was held in Cam Sur. 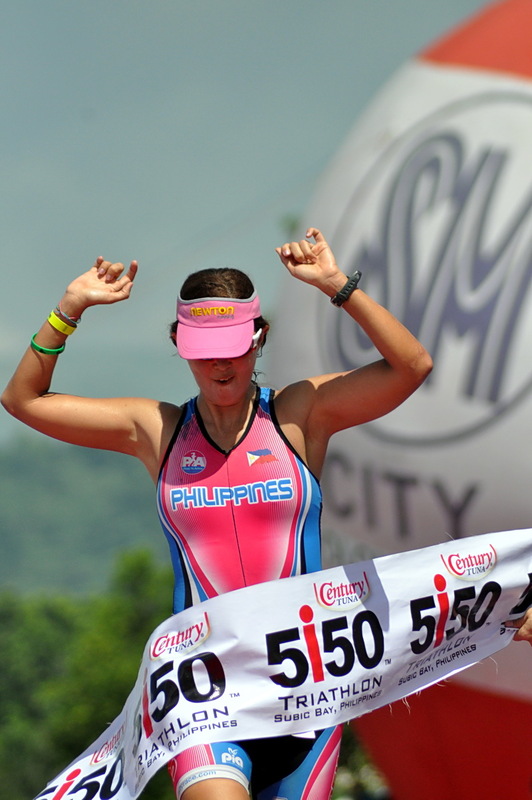 This year, it will be held in Cebu on August 5. Even though I’ve been doing triathlons of various distances for quite a few years, race day is still always exciting. The transition area where we all head to at dawn, where it is bustling with activity – tire pumping, water bottles being filled, gears being checked, nerves being soothed. I always look back at my bike as I walk away, making sure everything is there and in its right place. 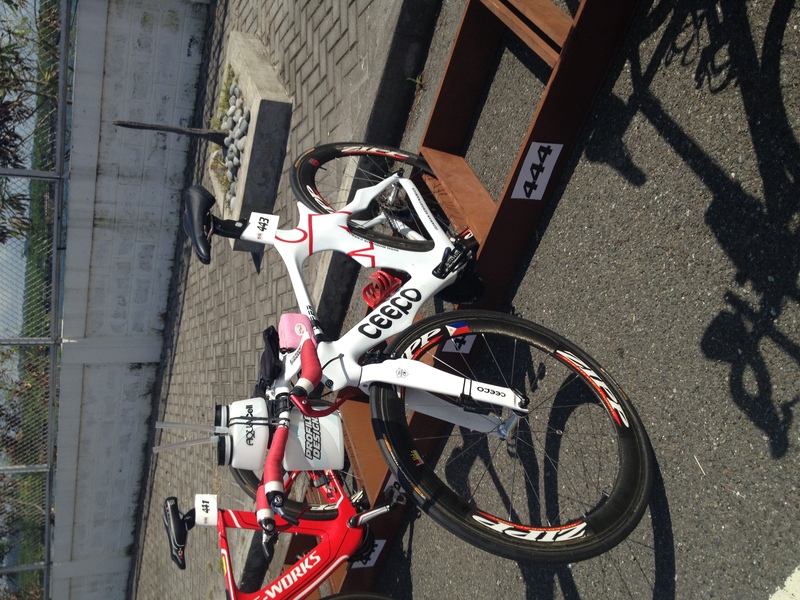 This shot was actually taken when we did the bike check-in the day before. So, my bike shoes are not on my pedals yet and neither is my helmet out. The fun started at the swim. 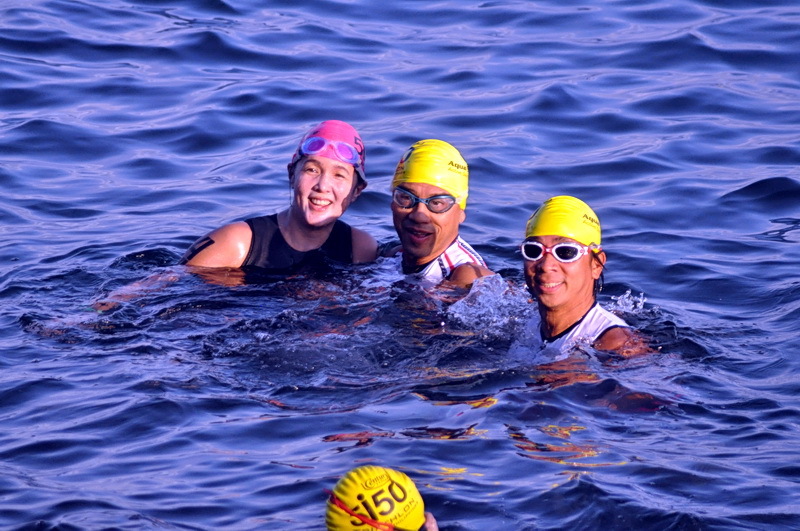 It was not a shallow start so we all had to jump into the deep blue, warm-up then tread water or find a rock to tip-toe on before the race started. I found myself in the company of my training partner Joey Torres and Kuya Kim Atienza. To pass the time and to distract us from the stress of waiting for the starting whistle to blow, I asked Kuya Kim for the weather forecast, he proceeded to entertain us with his pronouncements right there on the rocks. 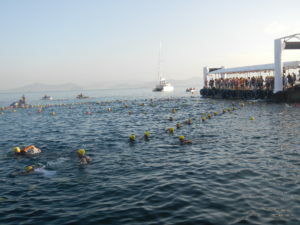 When it was time to go, all 600 participants started swimming. 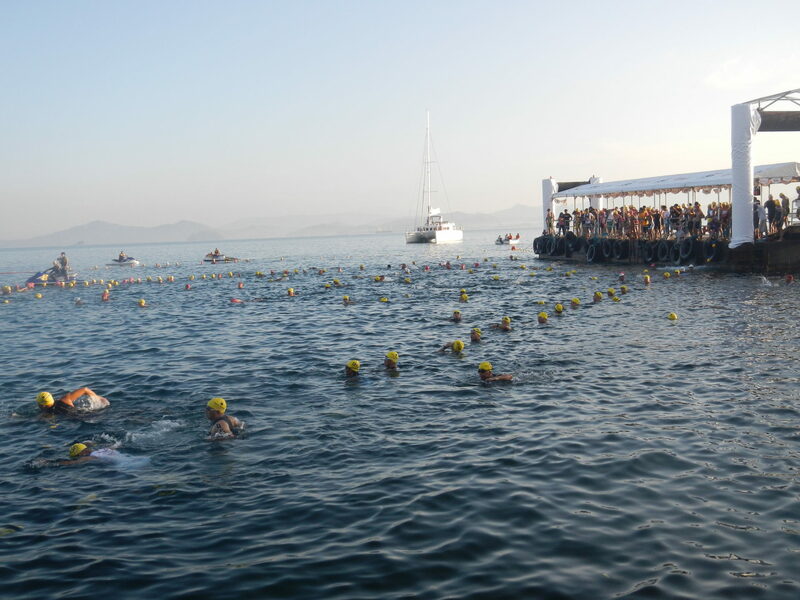 Some flew, some glided, some swam cautiously in the sudden heavy traffic of swimmers. I felt like I was gliding. Im not fast but I try to stay calm and focus on my strokes. Interestingly enough, for the first time ever after years of doing triathlons together, Joey and I managed to stick together from beginning to end. It was nice seeing a familiar face, what will all the elbows ramming into my head and upper body, legs and feet in my face. The bike ride was fun. It was a hilly course. I like climbing hills more than going down them. I enjoy the challenge of climbing. I think mountain biking has helped me manage the the steeper climbs and descents better. I have to admit, a totally flat course would be a bit boring for me. The run was intensely hot. But the run through the golf course was a refreshing change from the usual run on the roads. I get to see more friends on the run, get to shout out words of encouragement. 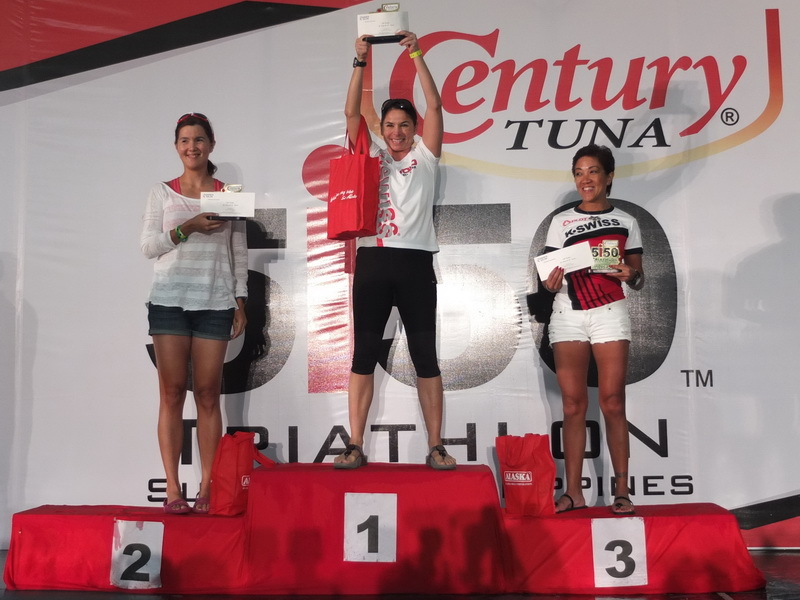 What a thrill to see breast feeding mom Coach Ani de Leon as one of the contenders along with the best of Pinay triathletes. So proud of her! As it turned out my efforts got me a 2nd place podium finish for my age-group. 1st place went to Fiona, and third went to Ting. My friend and idol Belinda Granger, who has won multiple ironman races and is the current reigning champ of Ironman 70.3 Philippines took first place in the women’s pro division. It was a great day for the inaugural 5150, another day to give thanks for the blessings of fitness and a wonderful day to catch up with like-minded friends who love to tri.